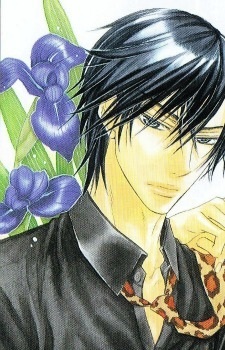 One of the most admired, smartest, and hottest students in school, but Mikado rarely enjoys the limelight. The only person he seems to have a liking for at school is Towa, while he treats others indifferently or coldly. He has a split personality (bipolar, I'm guessing), and his whole attitude, behavior, and tone can instantly change depending on whose he's talking to. Friendly rival to Yuki since they basically tolerate each other, no permanent hate or liking involved (at the moment). He takes his role of President seriously (depending on mood), but when it comes to Towa, Mikado's a total softie.